During the time of World War II, Whitehall was occupied by St Aubyn's School. Their own premises in Woodford Green had been requisitioned for use by the military. Today, St Aubyn's School still exists as a thriving Prep School in Woodford Green, Essex. A brief history of the School can be read by clicking here and by following a link on the right hand side of the linked page you can read a more detailed history of the school, including references to its time in Cumbria, written by the School's archivist and former pupil Nicholas A. Dixon. Mr Dixon has recently published (2009) a book on the history of St Aubyn's School entitled "Life's Work Well Done: An Illustrated History of St Aubyn's School, Woodford Green". This 154 page hardback was available at the time of writing from Waterstones for £10.00 including postage. The following is an extract from an issue of the School Magazine dated July 1947. This was supplied to the Fletchertown archive by Mr Ivan Byers Lomas of Skinburness, an old boy of the School. Mr L.F. Raven, who is mentioned in the School Notes appended below, still lives on the family farm at Priestcroft, Mealsgate. In July, 1946, in answer to a request by the Woodford and Wanstead Savings Committee, we started a Savings Group, which has acquitted itself quite well to date. Last, but by no means least, the Editor would like to pay homage, on behalf of the Headmaster and Mrs. Colley, to the gallant dead among our Old Boys. We have a Roll of Honour of which any school would be proud, and hope that by their sacrifice it will be possible to do many years of peaceful, constructive work, ushering into the world young Englishmen with a hatred of tyranny and regimentation, which seem so popular in other quarters. As the greater part of our magazine will be read by new readers, we think a history of the School would not be amiss. St. Aubyn’s was founded in 1884 by Miss Crump and her father. They established a Preparatory School for small boys at a house that they named “St. Aubyn’s,” at Woodford Wells. The success of the venture was such that within a short while they moved to larger premises at Woodford Green, and here continued their successful career. 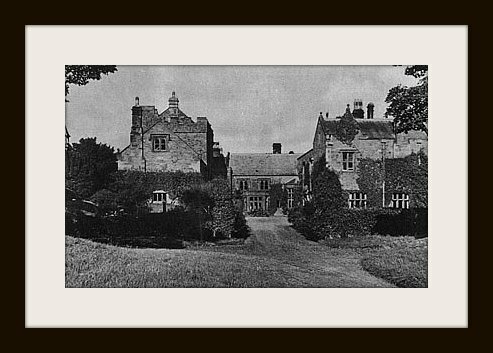 Some years later, the numbers having increased, Miss Crump took a large house on the opposite of the Green, standing in its own grounds, and with an adjoining field which could be used for games. When she retired, in 1922, the School numbered 130 pupils, Colonel Colley became Headmaster of St. Aubyn’s, which still retains its old name. 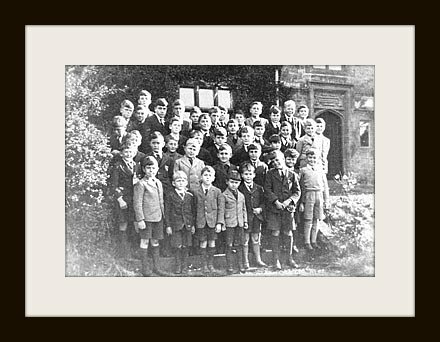 Before the war there were about 170 boys in the School, most of whom were day boys. All games were played in the School grounds. There was an open-air Swimming Bath, two Squash Racquet Courts, a School Shop that was open daily for the sale of the school uniform as well as sweets, a fully equipped Carpenter’s Shop; in addition there was a Library, a Museum, a Kitchen Garden, a Poultry Farm, and a Laundry. The School enjoyed an excellent record for work, games, and health. In the late summer of 1938 black war clouds began roll up, and it was decided that it would be useful to have a country retreat, to which we could retire, in event of hostilities. Accordingly, Mrs. Colley went to Cumberland and was fortunate to find a suitable house sixteen miles from Carlisle. But, before negotiations had been concluded the Munich Agreement had been signed and we continued at Woodford until the Spring of 1939. At this time affairs in Europe began to look very black again, and it was felt that war was inevitable and so a parents’ meeting was called. It was decided that we should approach the owner of “Whitehall” with the object of obtaining a three years’ lease on the property. This was completed during the Easter holiday and we hoped against hope that we would never have to use it. Our hopes were short lived for it was all too clear, by the end of August, that war was fast approaching. 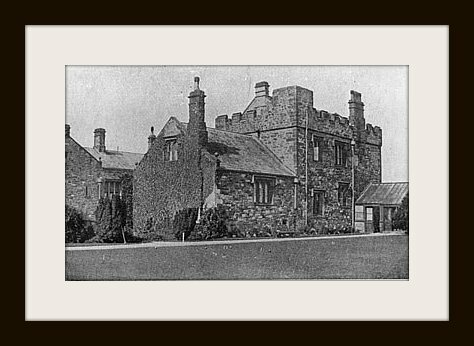 In August, Colonel and Mrs. Colley took up residence at “Whitehall,” which became St. Aubyn’s for six years and one term. During that time we had many ups and downs. Sometimes we had many boys; at others our numbers were very low. Cumbrians are said to be very conservative, but once they know you, they would do their utmost for you, and so our exile was pleasant. Very often we had more applications than vacancies, which stood the School in good stead, for when hostilities ceased and the premises at Woodford Green were derequisitioned, most of the North Country boys moved with us. We started our first term here with thirty-five boarders and twenty-six new day boys.. “Whitehall” was originally a fortified farmhouse. A chain of fortified farms stretched right across the North of England and the Peel Towers were used as look-outs. The occupants were constantly on guard against Scottish marauders in search of sheep and cattle. It is interesting to note how history repeats itself, for the same tower was used during the last war by the Home Guard to look out for enemy planes. Colonel Colley was in command of the local Home Guard Battalion but later felt he could no longer spare so much time, so he carried on as Second-in-Command. “Whitehall” made an admirable school. The big hall at once served as a dining hall, a preparation room, and a chapel for Sunday service. The time-table had to be altered since St. Aubyn’s had become almost entirely a boarding school. Breakfast at 8am., followed by prayers at 8-50 am., began the day and then there were lessons between 9am. and 12-30pm. Three afternoons were devoted to games, two to walks, and one to Scouts and Cubs. Tea was served at 4-45pm., after which there was evening school, followed by preparation. Circumstances compelled us to play Soccer instead of Rugger, but we had difficulty in raising a team as some of our boys were only five or six years of age. Nevertheless, we were able to play Rickerby House, Carlisle, at both Cricket and Football and had some victories in both. During our first year in Cumberland the Scout Troop was run by H.H. Colley and K.A. Manley, both experienced Scouts. We also began a Cub Pack. We had difficulties with both teaching and domestic staff, as the School was in the heart of the country. Often the teaching staff consisted of a mistress only, while at times Mrs. Colley only had Beatrice to help her with the domestic work. We had our own electric light somewhat haphazardly, and had considerable difficulty with the water system. Friday was Red Letter Day when the Colonel shopped in Aspatria. The car often returned full up with diesel engine oil for the electric light generator, a box of kippers, a bag of greens, potatoes, medicines, wool, buttons, and other necessities. At last V.E. Day came. We marked the occasion by a Thanksgiving Service, and after the celebrations we hoisted the School Flag on the Peel Tower and the Union Jack over the Camp site. After this we went for a hike, taking a picnic lunch with us. We returned in time to listen to the wireless and finally lit a huge bonfire when darkness had fallen. The fire burnt well and the boys used it to toast potatoes, which they ate half cooked, but without any ill effects. St. Aubyn’s, Woodford Green, was de-requisitioned on 15th August, 1945, and once again Mrs. Colley acted as an advance party.. We hoped that we would only have to return and settle in; but we had reckoned without the occupying Military. The local people had only seen the condition of the playing field, but the house was equally bad. It is needless to remind our readers of the red tape in the way of any attempt at reconstruction, but after two months of apathy hordes of workmen descended on us. Which of the two conditions was the worst it is difficult to tell, but in spite of their efforts to put the place straight, we were almost distracted as the 21st of January approached. Every caller told us that it would be impossible to be ready in time, but when D-Day arrived, term began. Since the School returned from Cumberland the following boys have passed the Common Entrance Examination: E.K. Barnes, A.G. Harrison, L.F. Raven, and D.G. Holliday into St. Bees; G.E. Appleyard and E.N.. James into Bishop Stortford; A.D.B. Gilshrist into Ardingly, and A.H.A. Scott into Mill Hill.